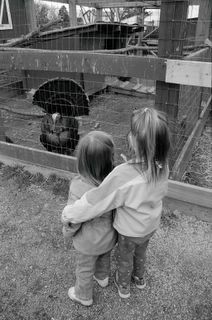 The girls stopped by the turkey pen Frying Pan farm to take a closer look at those funny birds. Not prepared for the level of noise and movement they were both startled and fascinated by these birds. 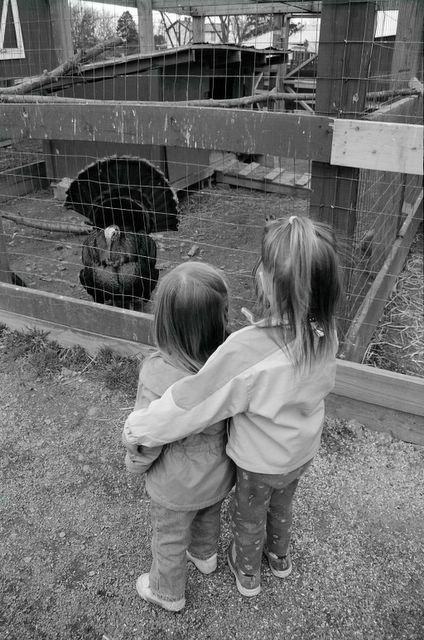 I love seeing how protective Leah is of her little sister Olivia. Each time the turkey squawked they clutched onto each other.